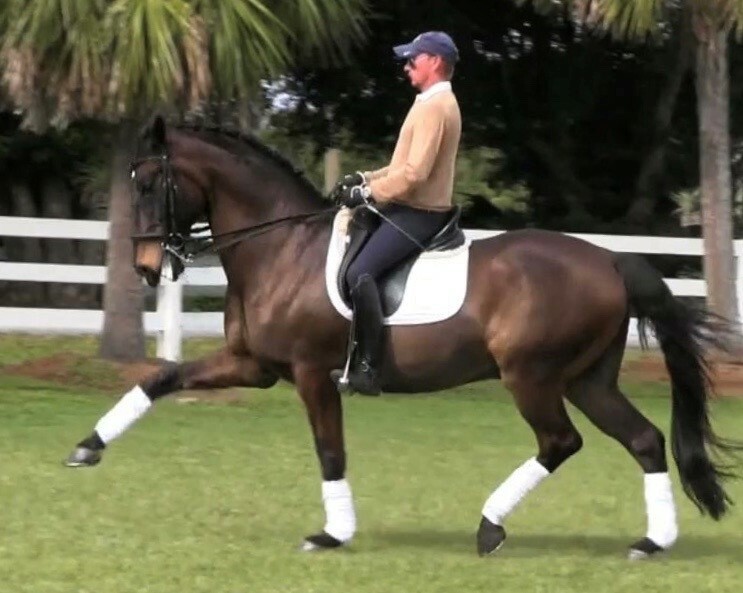 Desi - Grand Prix Lusitano Gelding! 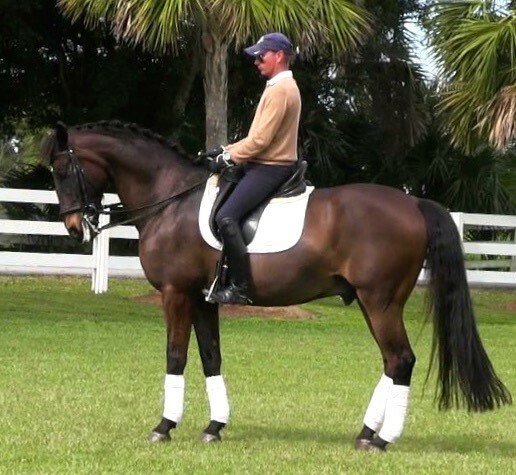 Desi is a top quality fully trained Grand Prix horse with real star potential for CDIs. Born October 2007, he is 16.1, and an ambitious worker. He has the brilliance and expression for a pro and will easily work for a good amateur rider. Ideally, we would like for him a good trainer/rider combination so he can reach his full potential. Desi loves to hack and is safely spookless.. He has 3 super gaits. His Piaffe, Passage, and transitions are excellent. 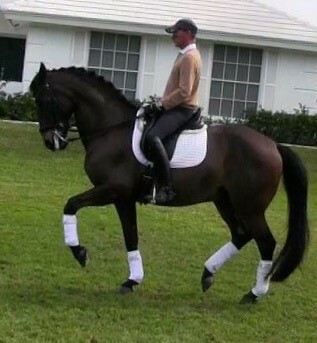 His collected trot has great suspension and his extended trot and walk are impressive. 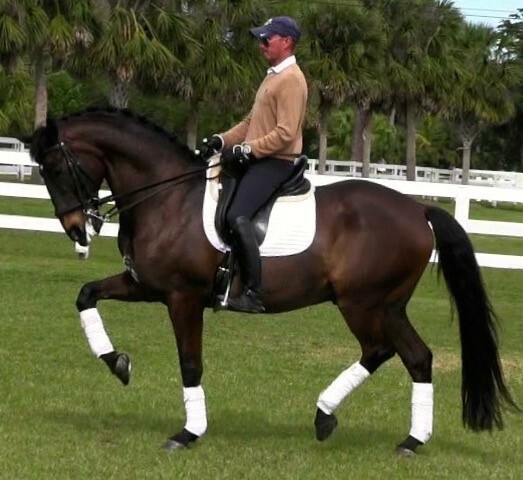 Desi has had successful FEI show experience at Intermediate-II with good scores and perfect behavior and gives his rider total focus. This winter Desi will show at Grand Prix level. Desi had extensive X-rays and vetting a year ago with excellent results. He is ridden here by Marcel van der Burgh. He is a fabulous horse for an ambitious rider.